Make up brushes are really expensive, considering a large proportion of make up can easily be applied with your fingers, I’ve never really invested in a really good set of brushes. I saw these on Amazon just over a month and a half ago, and just had to get them. They just looked gorgeous on the photos, and the price is incredible. They are reduced from £44.95 to £19.95, and so are well over half price, and a really great deal considering you get 13 brushes as well as the holder in which they come. Considering ‘Real Technique’ brushes are at least £10 per brush, and these work out as about £1.50 a brush, I really wasn’t expecting them to be anything incredible, but I really wanted to try them, so I ordered them anyway. Had a bit of an issue with delivery, which was up to the fault of Royal Mail (the courier service they use), but when the seller was made aware of this, they were really quick to fix it and really apologetic, and it was really appreciated. When they did arrive, they were gorgeous. 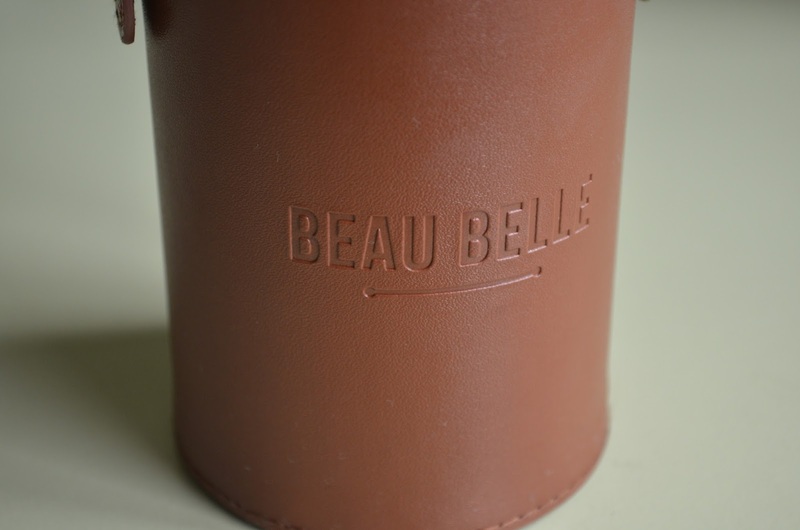 The box they come is gorgeous, it’s this deep, chocolate brown, leather like material, it separates into two half and connects together with little pop hinges. It’s something not every company would give you, and I think it’s really nice, and makes them really portable and keeps them safe. I still haven’t found a purpose for a few of these brushes, but there is literally everything you could possibly need in this set. The brushes are amazing, and the handles and detailing is beautiful. The brushes are so soft, they feel really nice on your skin, and apply your makeup in a delicate, effortless manner. You get 4 face brushes; a powder brush, a contour brush, a foundation brush, and a general face brush. The powder brush is by far my favourite of all of them, it’s super soft, and although fairly dense, it doesn’t apply too much powder on, and so doesn’t leave your face feeling too cakey, which I find some other powder brush do. 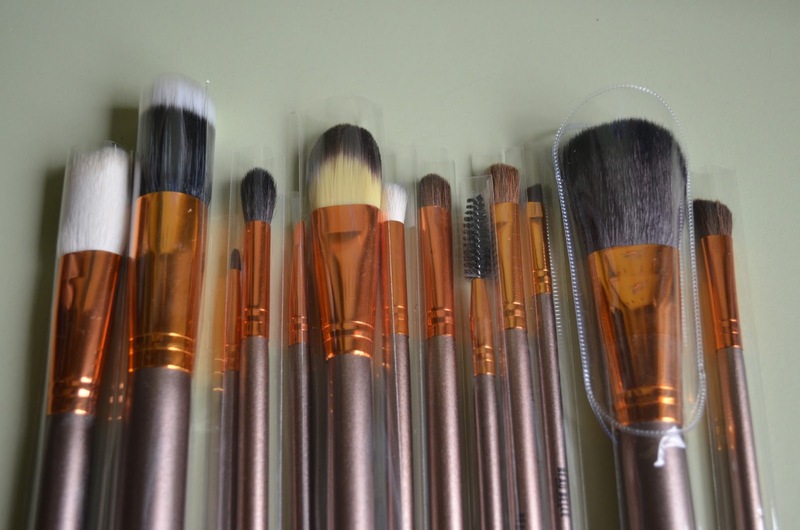 You get 4 general eye brushes, and 3 very small, precision brushes, which can allow you to apply eyeshadow and blend it out, and the quantity of brushes is amazing, it really helps to apply eye shadow, and some of the small precision brushes would be ideal for liquid eye liner. Just in case you wanted to know where to get hold of them, I bought these brushes here. For the price you pay they are an unbelievably high quality, and the seller is really quick to respond to any issues, if you have them. So I would highly recommend buying these brushes from this site.